The economy has been slowly recovering for a while now, and home prices are starting to show it. An improving national economy means more people are getting new jobs, which means that the need for homes is also increasing. Some people want to buy a home because they don’t want to throw money away by renting anymore, some are changing jobs and need to move to a different part of the country, while others have found a better job and feel the need to upgrade their home. No matter which category you are from, the increasing home prices and the raising interest rates are probably making you want to act quickly, before prices and interest rates go even higher. Prices and interest rates are much lower than they were before the housing market crash, but analysts say that they will keep increasing, so buying a home right now might not be such a bad idea (Read: 4 Things Home Buyers Should Look Out For With Mortgages Rates on the Rise). However, needing a home and actually being able to buy one, or buy it at a good price, are very different. Getting approved for a mortgage loan is not that easy, especially if you are also recovering financially. Your credit score, income and debt will have a large influence on whether you will be approved for a mortgage or not. Even if you get approved, but you don’t have an ideal credit score or debt-to-income ratio, you will probably have to pay a much bigger price for the home. Also, getting a mortgage involves a large financial investment, which means that you will probably have to use some or all of your savings. Getting a good deal and making sure that you don’t end up with a mortgage that you can’t afford can be done by doing a little research, consulting a mortgage professional, and having common sense. Here are the top 10 tips for those who are planning to buy a home in today’s home market. For even more reasons and tips see this. Figure out what you can afford. Put together a financial plan, which will help you determine how much you can afford. Home prices are still fairly low, but that doesn’t mean that you can go ahead and buy any home just because it’s cheaper than it was in the past. Having a mortgage that you can barely afford will cause problems in many aspects of your family’s life, and can result in losing the house. If you think you can’t manage setting up a financial plan, you can find a consultant who will work with you to determine how much you can afford to spend on a home (Read: Most Affordable Housing Markets in the US 2013). Start saving for the down payment. On a traditional mortgage, the required down payment is 10 to 20 percent. Even 10 percent can mean a large amount of money if the property that you plan on buying is expensive. Also, in order to avoid paying for Private Mortgage Insurance, you should aim to make a 20 percent down payment. By putting more money down, you also have the chance of receiving a better interest rate, which will help you save even more. If you can’t afford to make a 20 percent down payment, saving for it before you start looking for a home is a great idea (Read: Making a Larger Down Payment: Is it Worth it?). Try to improve your credit score. You need a good credit score to qualify for a mortgage, so anything less than what is considered a good credit score will result in rejection. But even if your credit score is in a “good” range, having a higher credit score will allow you to qualify for more advantageous rates, so you should do everything you can to increase it. Start by taking out a copy of your credit report, which you can get for free once per year, and look for any mistakes. These mistakes should be reported to the credit agency and corrected. Avoid making new debt. New debt can decrease your credit score, making it harder for you to qualify for a good interest rate. Also, lenders don’t like giving out large loans to someone who seems that is living on credit. You might think that opening a new credit card account will help your credit score, but it is actually the opposite. However, you should keep and use your old credit card accounts. Pay off some of your debt. Lenders will take your debt-to-income ratio into consideration when deciding on whether to give you the mortgage loan or not. Paying off some of your debt will help your ration, increasing your chances of being approved. Of course, to pay off some of the debt, you will probably have to use some of your savings, making it difficult for you to raise the 20 percent needed as a down payment. Get professional help. Hiring someone to work out a budget for you will help you figure out how much you can afford and save you a world of trouble in the future. 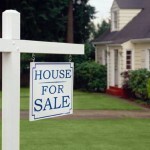 After figuring out a price range for your new home, you should consult a real estate agent to help you find a home. Not only will a real estate do things quicker, but he or she also has access to more home listings, which will increase your options. Get pre-qualified and pre-approved for a mortgage loan. Getting pre-qualified for a mortgage loan is relatively easy. All you need to do is provide the lender with some info about your financial situation. Unfortunately, being pre-qualified for a mortgage means very little when the time to buy a home comes. Being pre-approved, on the other hand, is very important because things will move much quicker once you find a home that you want to purchase. Hire a home inspector. You might think that you have found your dream home, but unless you hire a professional to carefully inspect the property, you might have to pay for a new roof or plumbing system in only a few years. This is especially important if you are buying a distressed property. Hiring a home inspector will add to the cost of buying a home, but it’s probably the best few hundred dollars that you will ever spend. To read more about the reliability of a home inspector click here. Hire a real estate attorney. Ensuring that you understand all the terms and conditions in the contract, and what is included in the purchase price means a lot when making a home purchase. This is one of the largest purchases you will ever make, so even if your lender has an attorney present at closing, hiring your own will make sure that your interests are represented during the whole process. Start planning early and don’t be in a hurry to make a purchase. Because buying a home involves such a large initial investment, you shouldn’t rush into buying a home, even if prices are rising. Only make a home purchase after you have set a budget, the home has been thoroughly inspected, and you are sure that you can qualify for a good interest rate. Making a quick home purchase might work for seasoned investors, but a simple home buyer should take more time before making the decision to buy a home (Read: Renting vs. Owning: Which is Best for You?). Buying a home in today’s home market requires you to act more quickly, but older home buying rules still apply, especially because you can still find many distressed properties in certain areas of the country at better prices. Making a home purchase can be a great experience if you take the time to set your budget up, do the research and make sure that you qualify.